My husband took me on a romantic trip to Brussels for my birthday. 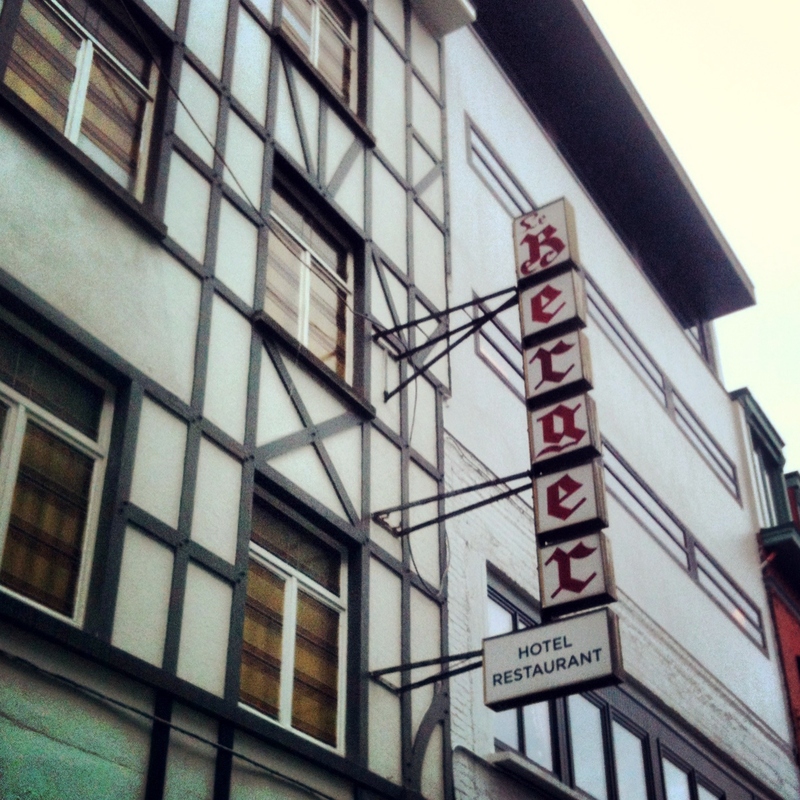 Whilst wondering around the Port de Namur/Chaussée d’Ixelles area, we stumbled across the beautiful Hotel le Berger situated on Rue du Berger. Built in 1935 as hotel de rendezvous by entrepreneur Gabriel Duhoux for the lavishness and comfort of those who wanted to carry out extramarital affairs; you could rent rooms by the hour and the hotel will ensure your discretion. The hotel features double lifts and double staircases to avoid clients being seen by each other – minimising embarrassment. 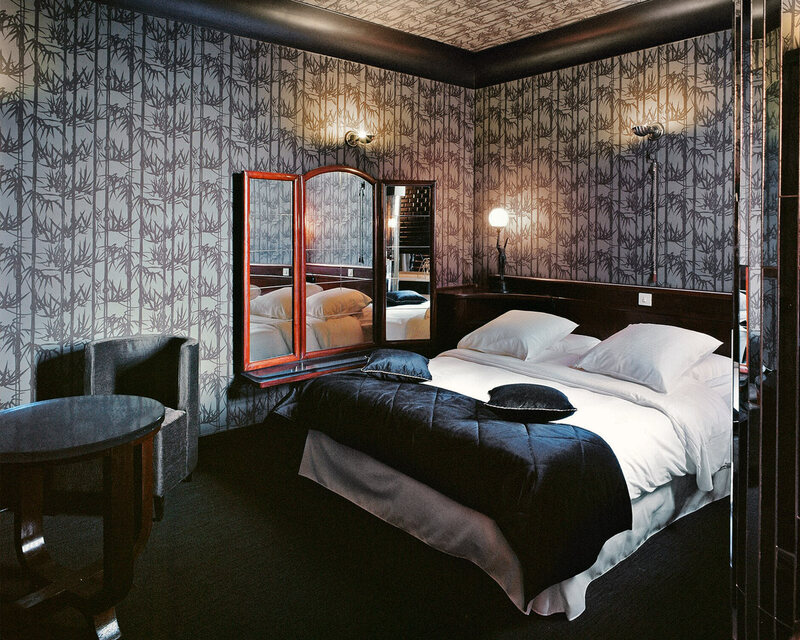 Each room was decorated differently with gorgeous wallpaper, art deco furniture and seductive artwork. 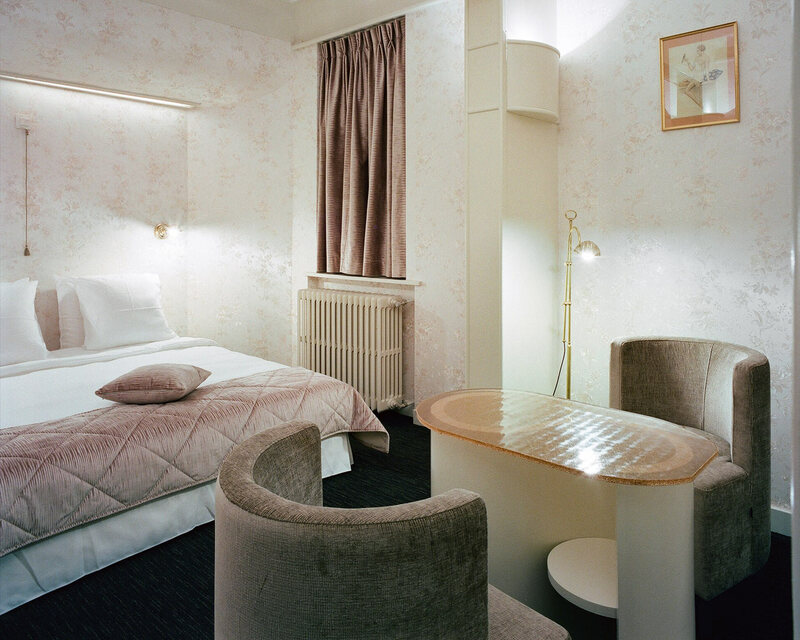 Although you can no longer rent rooms by the hour, the newly refurbished hotel has maintained its luxurious and eloquent decor. Most of the original furniture has been kept and restored. However, new bathrooms had to be added, the beds had to be replaced because they were too narrow as no one spent the night and the wallpaper in the rooms had to be restored. 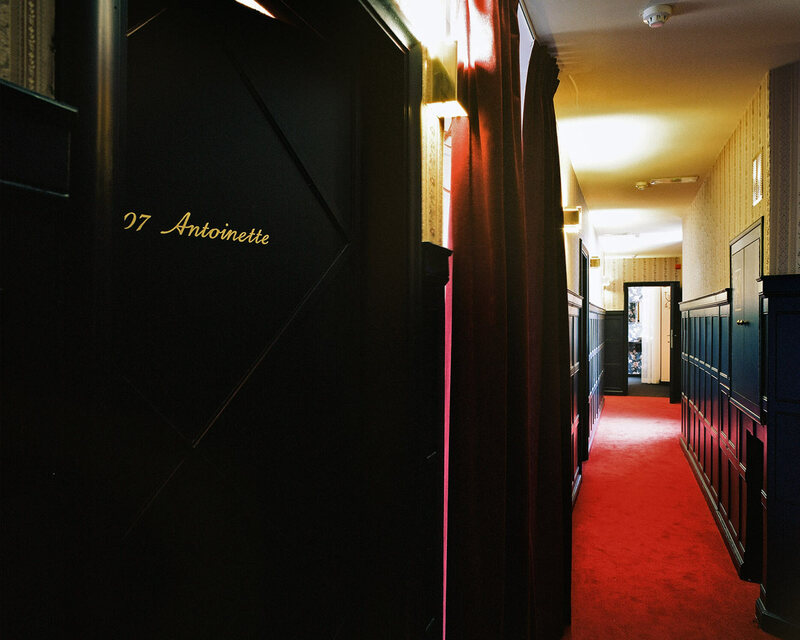 I especially love that the hotel has cleverly used 1930’s girls’ names for their rooms: Camille, Lola, Antoinette, Amber, Matilde, Blanche, Jeanne and so on…!